Many patients are hesitant about seeking orthodontic treatment for an improved smile because they think the only treatment option is noticeable metal braces. For patients who are self conscious about wearing braces and are looking for an alternative orthodontic treatment, Dr. Kattner is proud to offer Invisalign® clear aligners to his Waukegan patients. Invisalign clear aligners are made of almost invisible polyurethane plastic, providing a discreet form of orthodontic treatment. Rather than being cemented or bonded to the teeth as metal or clear braces are, these clear aligners fit over the teeth and can be removed. Improved Oral Hygiene — With an orthodontic appliance that is removable, you will be able to clean your teeth much more easily than if you were wearing affixed metal braces. Flexibility — For important social occasions, for eating, and, most importantly, for tooth brushing and flossing, Invisalign clear aligners can be easily taken off your teeth. It is important to note, this advantage can also be a disadvantage - you must resist the temptation to take your aligners out more than is advised. Specialized computer software helps Dr. Kattner and his team design a plan for moving your teeth from their current positions into the best possible alignment. This movement will be broken down into about several dozen stages. For each stage, the Invisalign company will manufacture two plastic mouth “trays” or “aligners,” one to fit over your top teeth and one for the bottom. You will wear this first set of trays for two weeks, for a minimum of 20 hours per day. You will then move on to the next set of aligners in your series to accomplish the next stage of gradual movement. You will keep doing this until your teeth are correctly aligned. As mentioned above, one of the main advantages of the Invisalign system is that the trays can be removed for easy cleaning. Dr. Kattner advises to not neglect to do this! You'll need to brush your teeth after every meal or snack so that food and plaque do not get trapped in the aligners, which could promote tooth decay and gum disease. Your aligners, too, will have to be cleaned regularly. You can do this by brushing them and then rinsing them with lukewarm water. Also, please keep in mind that while wearing clear aligners is very different from wearing braces, the importance of retaining your post-treatment results is exactly the same. You'll want to be sure to wear your retainer(s) exactly as Dr. Kattner prescribes after your treatment is completed to protect your investment in a beautiful new smile. Clear aligner technology has been improving over the years and can correct many malocclusions that once would have been too complicated for this form of treatment. If you’d like to find out if you’re a candidate for Invisalign treatment, contact our Waukegan office to book an appointment. Our expert orthodontic staff would be happy to discuss the details of Invisalign treatment with you and conduct an examination to see if Invisalign is a viable treatment option for your orthodontic needs. 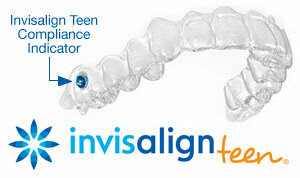 We are also on hand to answer any questions you have about Invisalign clear aligners. We hope to hear from you soon and help you achieve a better smile effectively and discreetly with Invisalign!